Distilled in September 2013 by Alberto Ortiz (“Don Beto”) from semi-wild madrecuishe (agave karwinskii var.) harvested from a south-facing hillside of rocky calciferous soil at 5400 feet elevation, wood-roasted in a stone horno, mallet-crushed, fermented with wild yeasts, double-distilled on a 200-liter copper potstill. 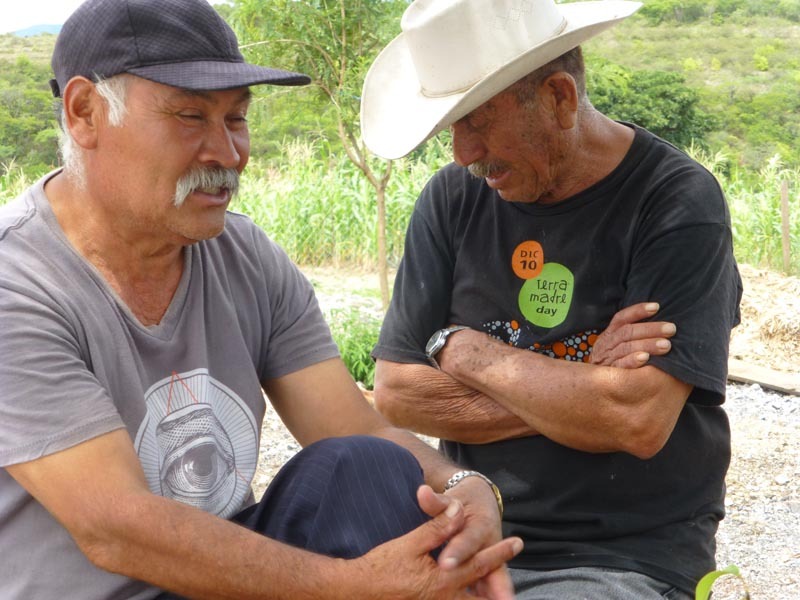 Don Beto keeps his distillery meticulously clean, which is reflected in his mezcals. 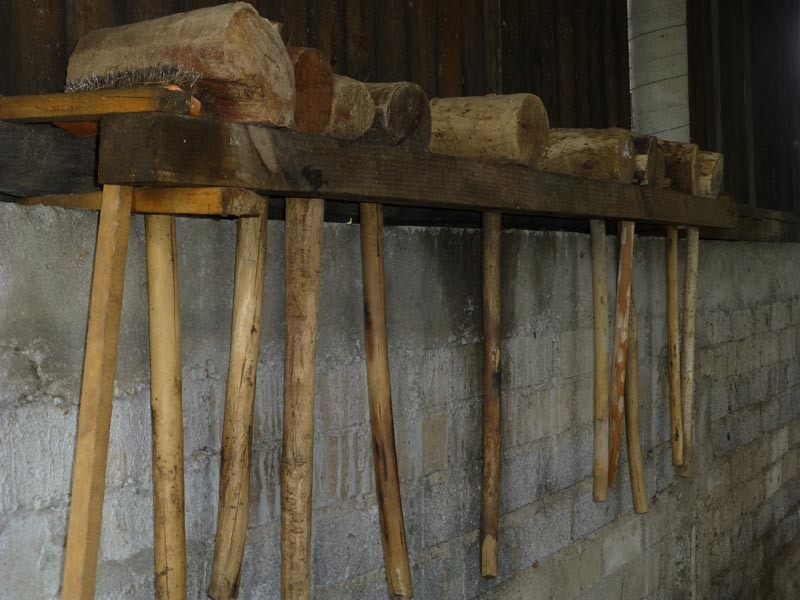 He crushes with wood mallets, instead of a mill, because he doesn’t want horses in the distillery. It takes 3 men fourteen hours to crush enough roasted agave to ll one fermentation tank. Yeasts like hand-crushed agaves: more complete, more complex fermentation. Madrecuishe grows on a stalk, off the ground: less reflected heat, more heat from ambient air: flavors are less baked. The south slope means more sun, more flavor, more fruitiness. 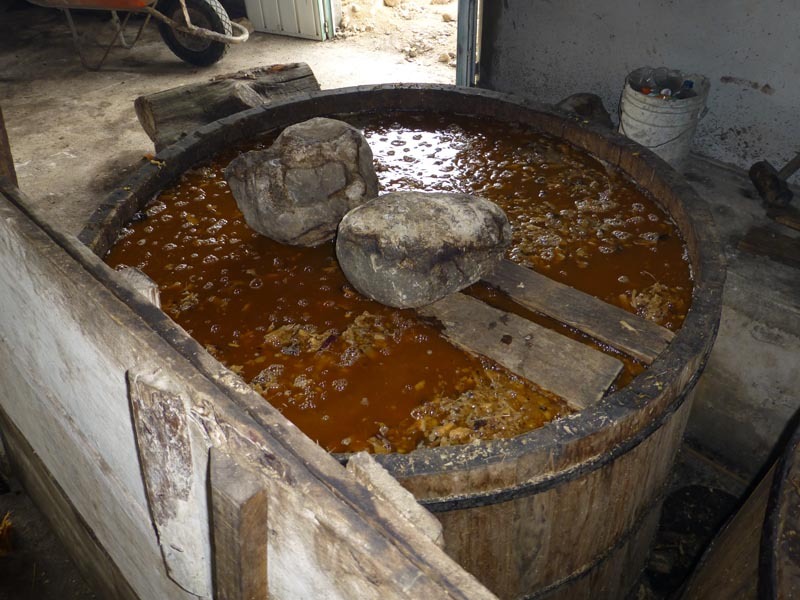 The high acidity of madrecuishe yields cleaner flavors, more definition and structure, in the mezcal. This batch rested in a tank for 18 months following distillation: its fluidity is rich and appealing. Hector Vasquez of Los Danzantes thinks that the difference between 1. metabolization of carbohydrates by photosynthesis in the long madrecuishe stem and 2. metabolization in the piña of agaves with rounded and shorter piñas will create a distinctive flavor profile. 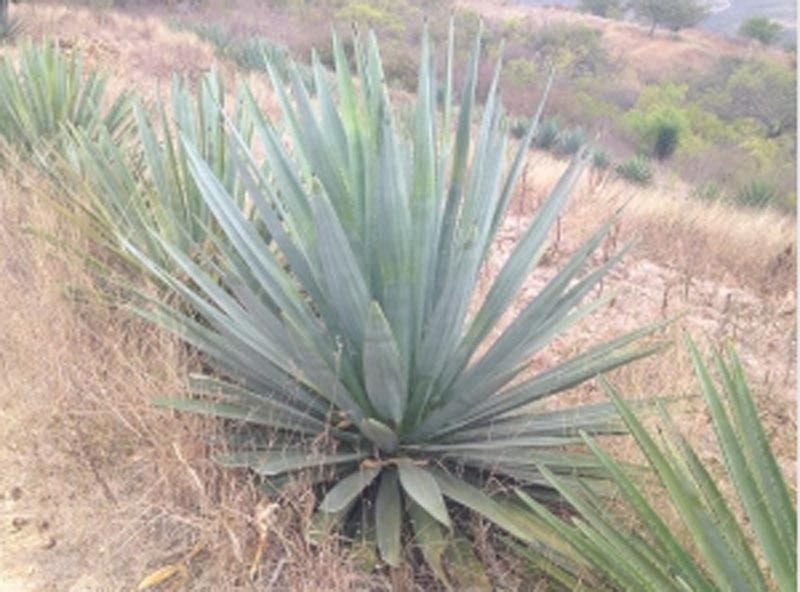 The short rounded piñas tend not to produce the fresh herbal flavors that are characteristic of agaves with tall stems, e.g. karwinskii or madrecuishe. Hector believes that Madrecuishe is the only long-stem with a good balance of flavors, especially the Madrecuishe of Miahuatlan. A mezcal distilled by Don Valente Angel from agave espadín and wild bicuishe (agave karwinskii) harvested from the environs of Santa Maria la Pila at some 5400 feet near San Andres Miahuatlan, southeast of Oaxaca City; the agaves were wood-roasted in a stone horno, shredder-crushed (Don Valente has removed many of the shredder teeth to avoid the instrument’s drawbacks), fermented with wild yeasts, and double-distilled on 200-liter copper pot stills. Bottled in April, 2017, the mezcal was placed in a mound of goat manure and left for six months. The bottles were cleaned and transported to Destilería Los Danzantes in Santiago Matatlan in November, 2017. After COLA approval of the label design, the bottles were labeled and shipped to California in January, 2018. See the product video [link] for more details. 120 bottles only. 47.4% abv.